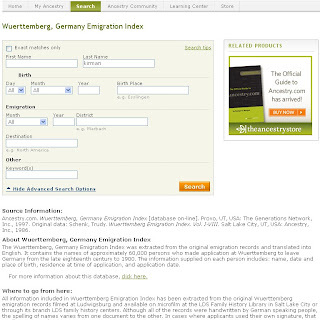 Ancestry.com has a new Emigration Index for Wuettermberg, Germany that is now available for searching for free at their site. The approximately 60,000 name index is for those people that applied to leave Germany around 1900. If you would like to search this index, please click here.